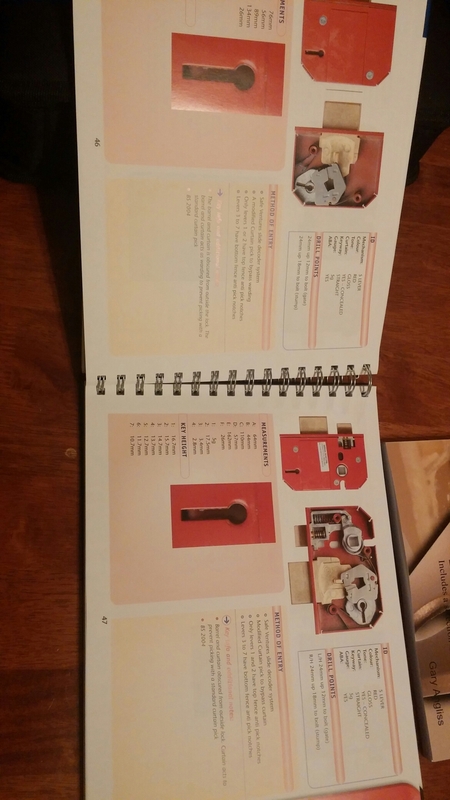 Gary Angliss id Maual bought from Lulu.com £39.99 by far the most comprehensive and value for money,covers way more locks gives alternative drill point as to not weaken talon,most pages have two locks per page designed to be used with gauge keys for faster id,very impressed with this book alot of work must of went in to it,only downside on black or darker locks the pictures are hard to see detail also euro spec locks are listed as euro star,in my opinion the best id manual on the market great value for money,every locksmith should own this manual. 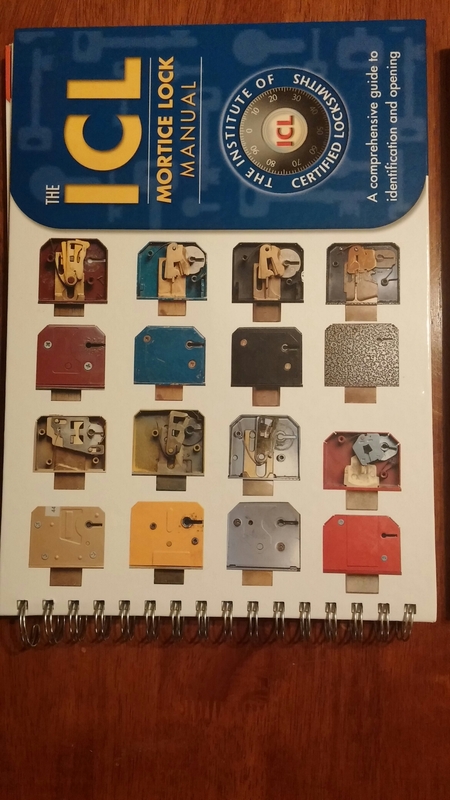 The ICL manual bought on offer from walker locksmiths for £65 but many retailers sell this book for up to £120,Duffles,sks sell this at£99 pluss vat which makes it £119 which is massivly over priced for whats in the book,for a beginner maybe ok and gives some good advice on using the safeventures decoders,but apart from the sv 3G114 pinNcam most decoders i own are from GJ Locks or E3 Locks which are excellent and very well machined,the other good thing with the icl book it gives key heights for the locks it covers which is handy,apart from that i was pretty dissapointed with this book half the book is wasted by listing deadlock and sashlock on seperate pages for the same lock,theres alot of silly mistakes showing 15 gauge in stead on 5 gauge,doesnt cover very many locks where red is a common colour for mortice locks this book only shows about five red locks,i expected there to be way more locks if this was your only id manual you,d be stumped alot so id go for the Gary Angliss books every time great book at a decent price and coverd a hell of alot of locks,sorry to say very dissapointed in the icl book wasted pages,silly mistakes,no where near enough locks,massivly over priced,if found for around £55 maybe a good intro for a begginner but definitley not comprehensive like the Angliss book. 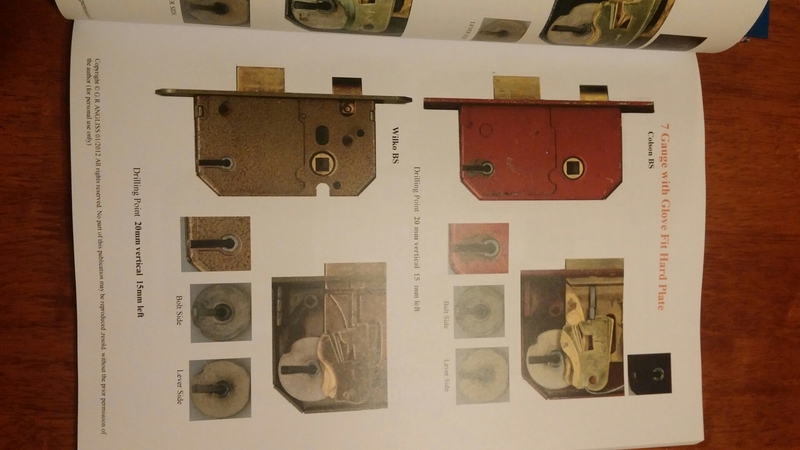 I.do.t know if you can help but I am self studying locksmithing is there a process to use when drilling mortice locks for example that are not in the books or manuals, e.g a cheap Wilkinson’s sashloxk for example? As how would someone know? Either try and get that lock maybe if eBay and get the drill point,or try and work out if the levers are at the front or back then work out the drill point from the key way and position of the bolt,if may take 2 or 3 attempts but they should be hidden by the handle so no problem,but you shouldn’t have many problems picking that sort of lock try Overfting,only pick the binding lever and find your high n low lifts,h ope that helps. Where the bolt stump is located is there always s rough estimate to go by? 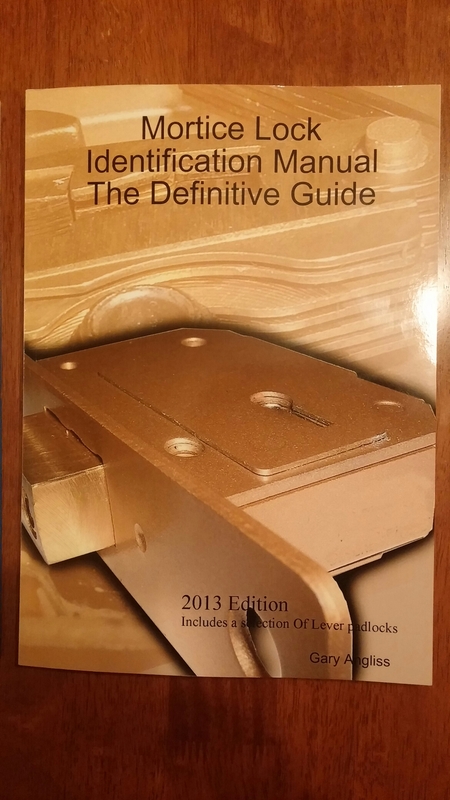 Yes go vertical up from top of key way and along middle of bolt stump it may take 2 or 3 holes but all should be covered by the handles after so no problem,or find a similar lock in your manual and go of that,but always practice your picking only pick the binding lever 1mm lifts,try n find your high n low lifts first,you should pick those no problems,dont get caught up in buying tools you’ll never use stick with the basics,its worth getting a decent curtain pick in my experience,all the best.